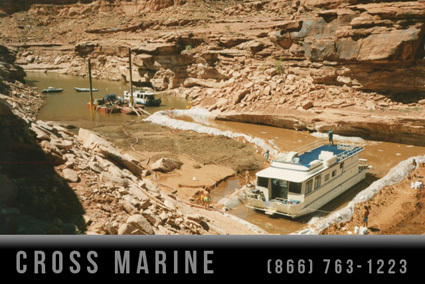 Cross Marine crews rescue a stranded vessel during a lake flood house boat recovery project in a remote canyon filled with mud and other debris. 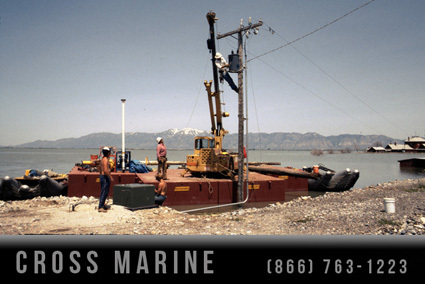 Heavy equipment was transported in by barge and special techniques were used to free the boat from the mud without causing further damage to the boat. 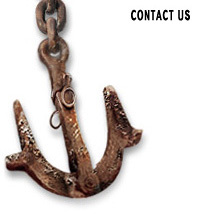 Lake flood damage cleanup project removed toxic heavy metals and structures from a flood damaged lake. 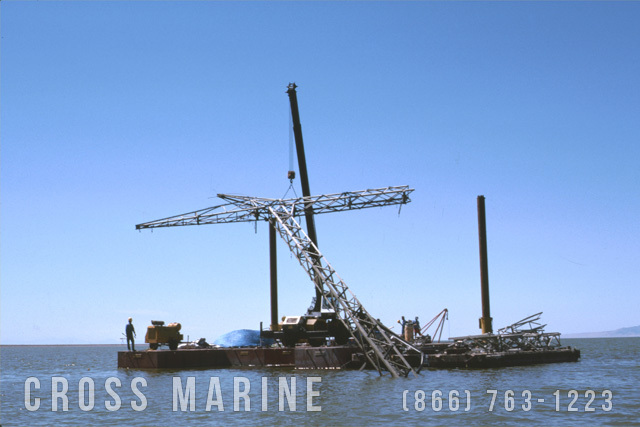 Boat wreckage cleanup following a hurricane. 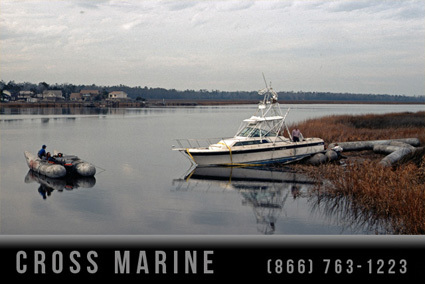 Crews recover boats stranded in shallow marsh areas with limited accessibility. 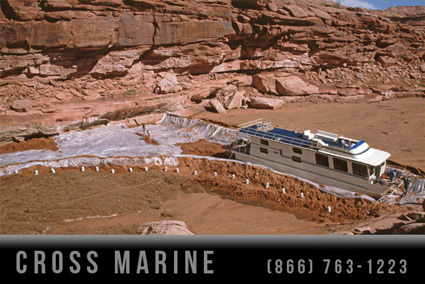 Cross Marine’s crews rescue a houseboat engulfed in mud and silt following a slot canyon flash flood. 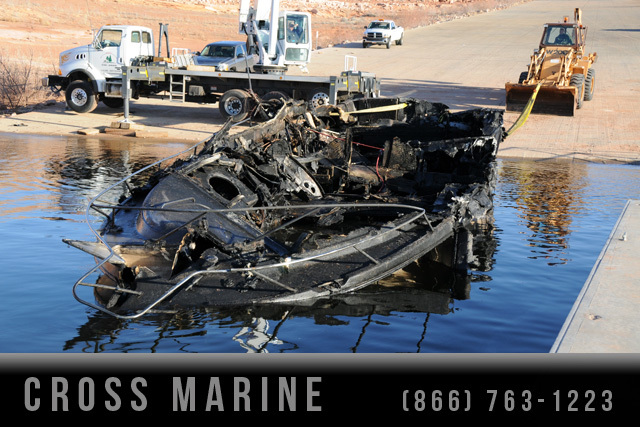 Heavily burnt houseboat wreckage removed from lake by commercial divers following a large marina fire at Lake Powell. 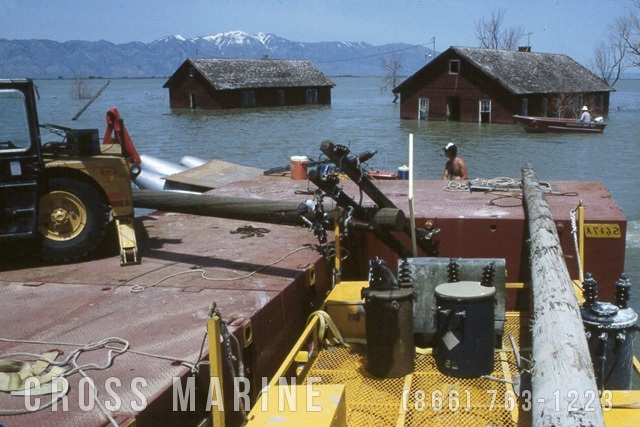 Disaster cleanup barge being used to remove and transport damaged power line structures following a massive lake flood. 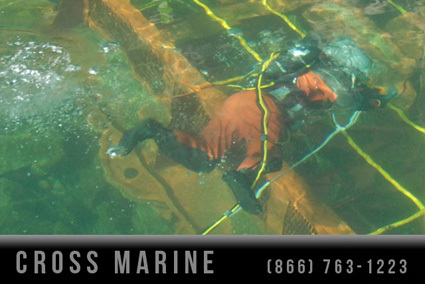 Removing transformers containing heavy metals and other hazardous materials from a flooded lake due to excessive snow runoff. 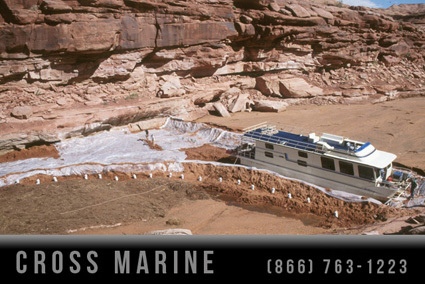 The cleanup barge is shallow draft and can be used to cleanup flood debris from remote locations.